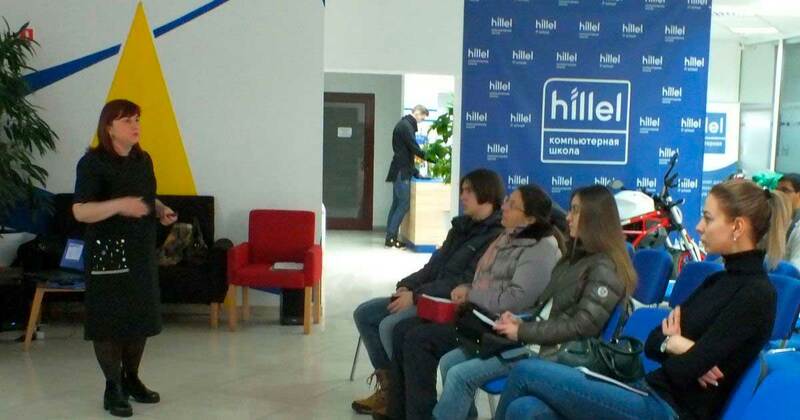 On Saturday, 2 February 2019, the first in 2019 2TM seminar on Education in Slovenia: Study Programmes, Deadlines and Prospects took place at the Hillel Computer School in Kharkiv. A crucial period for applicants – the start of the first admission round – will soon start in Slovenia. It is very important to prepare for the admission process informationally and morally – then it will pass without undue stress and finish with the successful enrolment in the desired university and the desired study programme. the deadlines and specific features of the 2019/2020 enrolment campaign. At the end of the presentation, our expert answered all questions of the seminar participants. In particular, the guests were interested in the language courses, the life of students in dormitories, and also asked us about the kind of assistance we provide to our clients during the admission process. We would like to remind you anew that from 12 February 2019, the universities and colleges of Slovenia start their first round of admission. For guaranteed enrolment in the desired study programme, we strongly recommend that you do not postpone the submission of documents for the last day, but immediately join the process of the admission campaign and start cooperating with 2ТМ right now. In this case, we will have enough time to assess your capabilities, to choose a relevant study programme accordingly and to correctly prepare the necessary documents. There are no entrance exams for the majority of study programmes in Slovenia, so at the initial stage of admission you only need to submit an application and provide the available documents. Thus, all school-leavers and college students can already enrol without waiting for the end of the current academic year. For all questions regarding admission to Slovenian educational institutions, please contact our managers. We will be pleased to help you!